Kent Island is relatively secluded, spanning 32 square miles between the foot of the Chesapeake Bay Bridge and Maryland’s Eastern Shore. The community is close-knit. So when Chris David, local franchise Operator of Chick-fil-A Kent Island, took to Facebook in February to announce Chick-fil-A would close for seven weeks for renovations, he knew a few locals would make a fuss. But he never expected the flood of commentary that ensued. The post ultimately triggered hundreds of comments and shares. Some islanders began traveling 30 miles to the nearest Chick-fil-A, ferrying home chicken sandwiches and jokingly offering to sell them for hundreds of dollars. “Chick-fil-A Sandwich crumbs and sauce for sale,” one Facebook post jokingly advertised. The only thing to do was wait. Meanwhile, in Atlanta, Bill McPeters and the Strategic Reinvestment Team keep a busy schedule. Chick -fil-A’s Strategic Reinvestment Team is tasked with visiting every Chick-fil-A in the chain that is a potential candidate for reinvestment — that includes Kent Island — twice each year. His job: prioritizing which restaurant should be renovated. The typical lifespan of a freestanding Chick-fil-A is 30 years, and within that timeframe, each restaurant receives at least one full-scale renovation, requiring an overhaul inside and out. The only question is when it’ll happen. The Strategic Reinvestment Team’s decision-making process is guided by two major factors: capacity and age, both which impact the customer experience. The former addresses issues like small kitchens and single-lane drive-thrus. The latter deals with dated facilities like furniture, counters, awnings and playgrounds. Most restaurants get their renovation within the 13- to 18-year half-life window. These days, the Strategic Reinvestment Team is busier than ever, with more than 2,400 Chick-fil-A restaurants operating from coast to coast, and more than 100 new restaurants opening each year. “Some restaurants that are older were not designed to support the volume and number of customers we’re seeing each day,” McPeters explains. Back on Kent Island, as a construction team of 40 workers has toiled each day to get the renovations done, the islanders continue to wait. Some have slipped past the temporary fencing, asking workers if it’s still possible to grab food. Despite its small surrounding community, the Kent Island restaurant is ahead of the renovation clock, receiving its overhaul just nine years after opening. The reason: during the summer, throngs of beachgoers cross the 4.3-mile Bay Bridge, and the Kent Island restaurant offers a convenient mid-journey respite before travelers hit the road again. The drive-thru line often wraps around the parking lot. 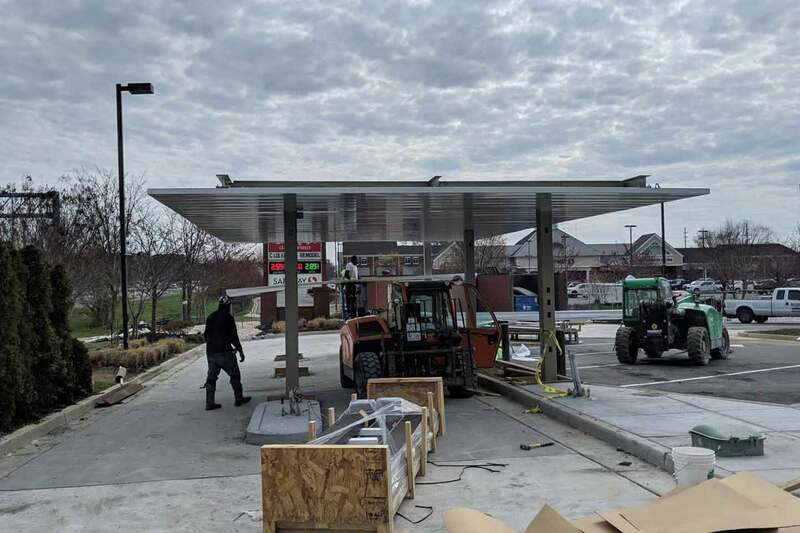 To address capacity issues, the restaurant is transforming its kitchen with an enhanced design, allowing half the kitchen staff to respond to drive-thru orders, and the other half to serve in-restaurant customers. 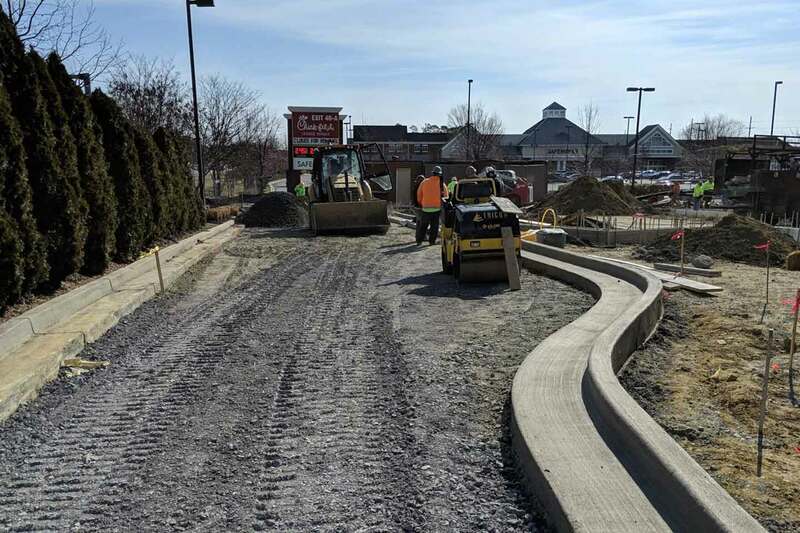 The restaurant is also adding a second drive-thru lane with canopies, heaters, misters and lights, so Team Members can work outside comfortably. During the hiatus, David has ensured that each one of his Team Members feels taken care of. Many received temporary positions at other Chick-fil-A locations, while some others returned to college. Still others humbly accepted holdover money from David’s pocket. Every Team Member is returning when the restaurant reopens later this month, David says. Meanwhile, the islanders will continue to wait. Think back to the opening scene of “Love Actually.” There’s truly no sweeter place to watch people hugging each other and being welcomed home by loved ones than the arrivals gate of any airport. Now imagine that same scene… with a cow.